Fruit seamless pattern. Cartoon style strawberry and cherry. 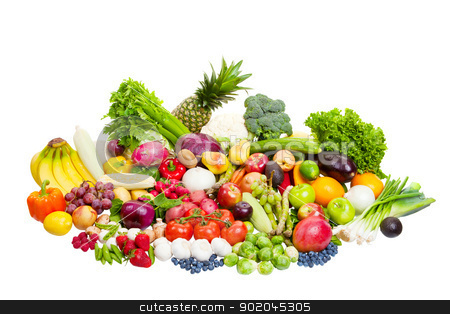 Group of fruits and vegetables shot on white.